I am always a dog lover who grew up with multiple dogs back in India. My mom took care of hundreds of dogs and lots of cats too. There was a time when she would make at least 10+ Jowar rotis extra just to feed army of dogs. She would get angry at people who would throw stones at dogs or hit them with stick etc. Fast forward few years and I met my first dog in US. A mischievous, extremely energetic and a very smart dog. He is my friend Vai's dog, Yoda. It was a love at first sight. I loved the fur ball that he was as a puppy and love him even more now that he has grown to be a extremely friendly and smart dog. He is like a sponge who is eager to learn new tricks and implement them as soon as he learnt them. His mom has taught him to give hugs, carry small packets, bring slippers. And believe me he brings slippers for the person who has asked him. He is pretty amazing dog! I taught him to dance on his hind legs and he enjoyed doing it whenever he would come to spend time with us. He and his mom moved to different state so I have not met him recently but his mom keep on sharing his mischiefs with us. And we get a good laugh. I ate this walnut chutney with idlis at Vai's house for the first time years ago. Her mom had made it. I asked auntie how she made it, got basic idea and have been making it ever since! 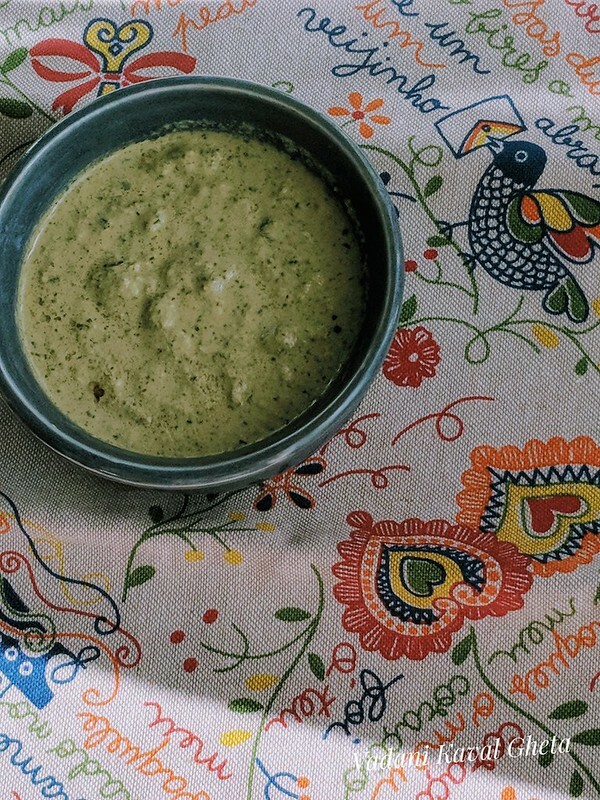 There are no specific proportions, thrown this n that and end result is perfect for dosas, idlis, sandwiches and with anything that you want to pair good chutney with. Here is basic recipe, make it your own by changing things around. Roast walnuts in microwave for about a minutes. Alternatively, you can roast them on stove top. Add all the ingredients in grinder bowl except water. Grind to fine paste by adding little water at a time. Taste and adjust salt, green chilies and consistency. Enjoy with anything that requires a good chutney! Some friends have told me they don't like garlic in it, some told garlic gives depth! So its up to you! You can try adding couple of tablespoons yogurt instead of lemon juice that gives different flavor. Then its not a vegan recipe. Nice to see you reviving your blog. Cheers!